Kseniia: I must admit, looking at the enormous captions Alex is posting on Instagram lately, I start feeling a bit guilty. Seriously, not all my blog posts are that long!.. Wait a minute! But doesn’t it mean his captions can actually make a great post? Well, we’re about to find it out, as I’m posting his latest Instagram update here. Right now. As a real blog post. Call me lazy, or call me creative (cause I still did an effort to pick photos! ), but it’s happening. RED SQUARE – Russia’s main square with iconic views to Kremlin, GUM, St Basil’s Cathedral, Historical Museum. The place for military parades in May and a huge ice rink in winter. 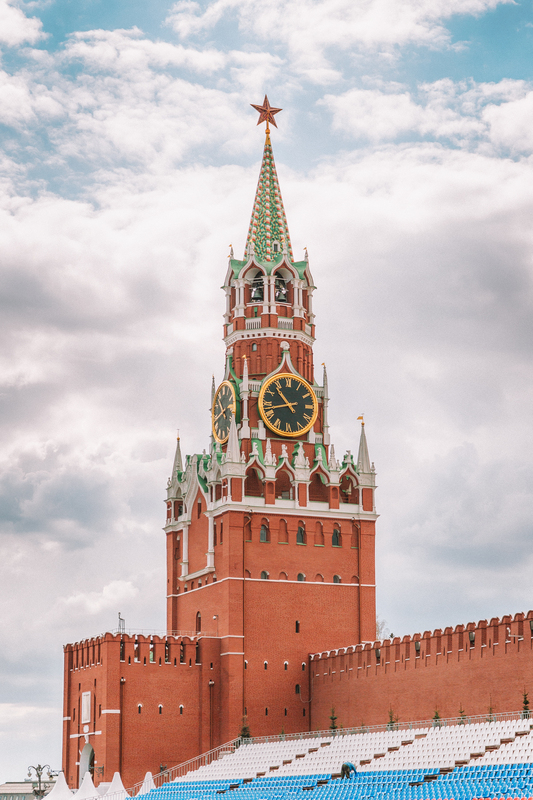 KREMLIN – the symbol of Russia and the place where Moscow started from. Book your tour in advance because there is always a huge line to the ticket office. 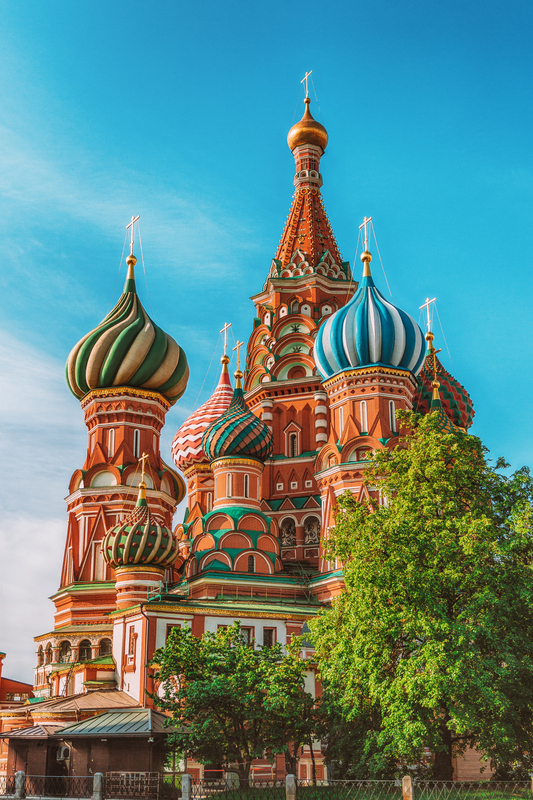 ST BASIL’S CATHEDRAL – may be the most beautiful cathedral in Russia and one of the postcard views of Moscow. 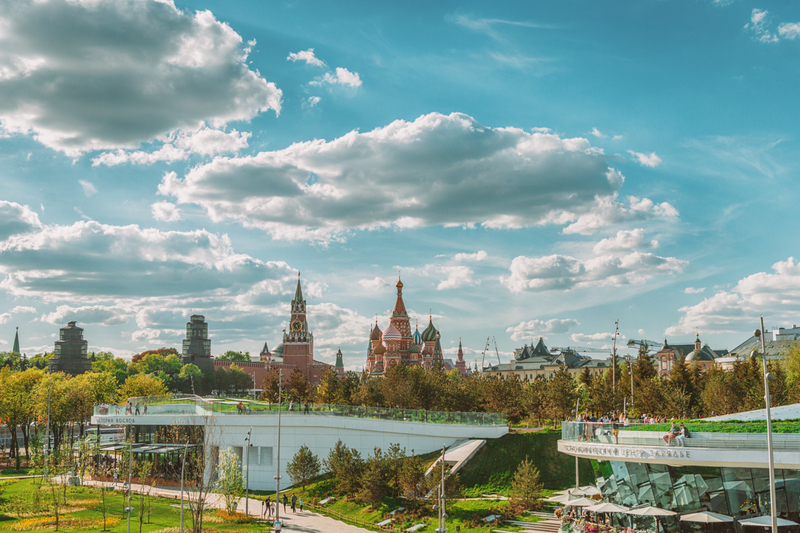 ZARYADYE PARK – newly created park in the very heart of Moscow. Features several great attractions including “flying bridge”. NIKOLSKAYA STREET – one of the oldest and most beautiful streets in the Russian capital. Became world-famous during the World Cup. 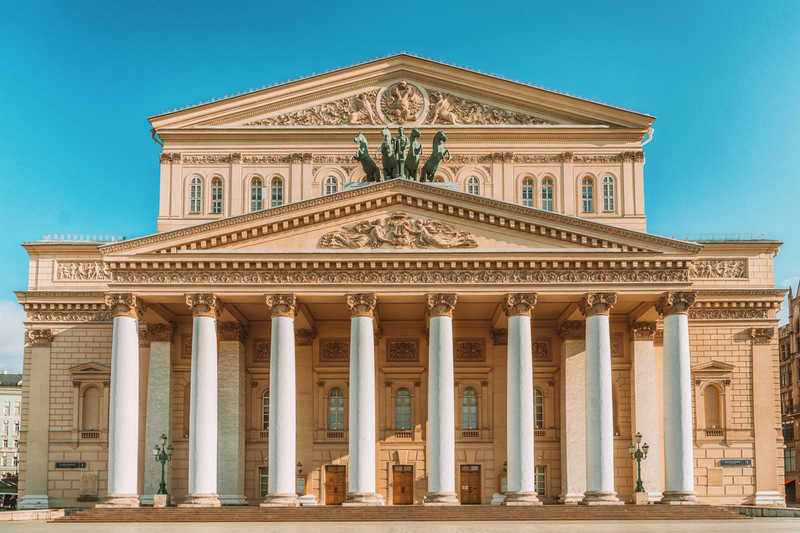 BOLSHOI THEATRE – the home of Russian ballet and an amazing place to enjoy the art of dancing. Add fantastic architecture and interior design as a bonus. 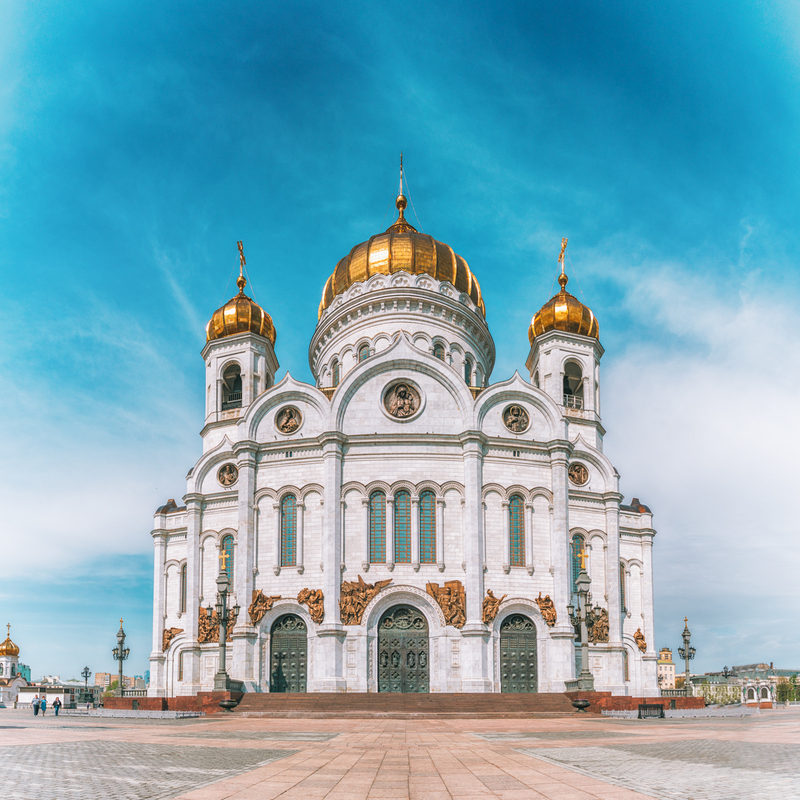 CATHEDRAL OF CHRIST THE SAVIOUR – huge and glorious cathedral newly reconstructed after it was destroyed by Soviet parliament a long time ago. 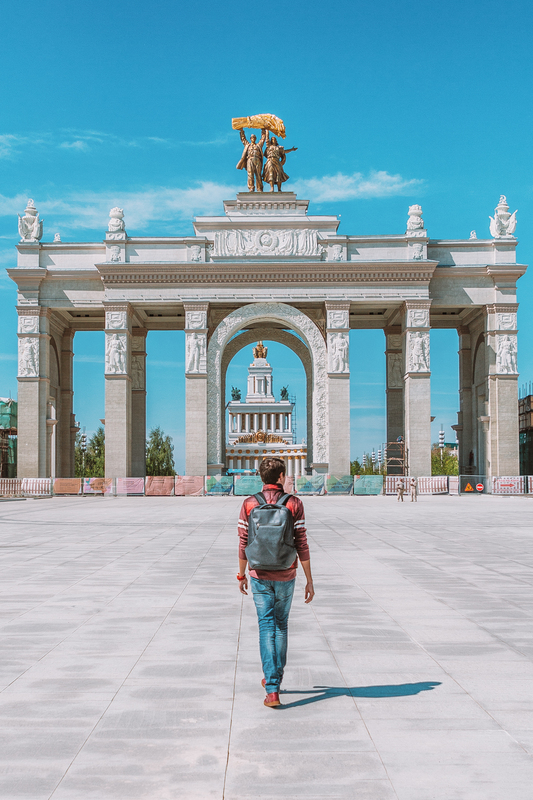 ARBAT & NOVY ARBAT STREETS – examples of how diverse Moscow is. 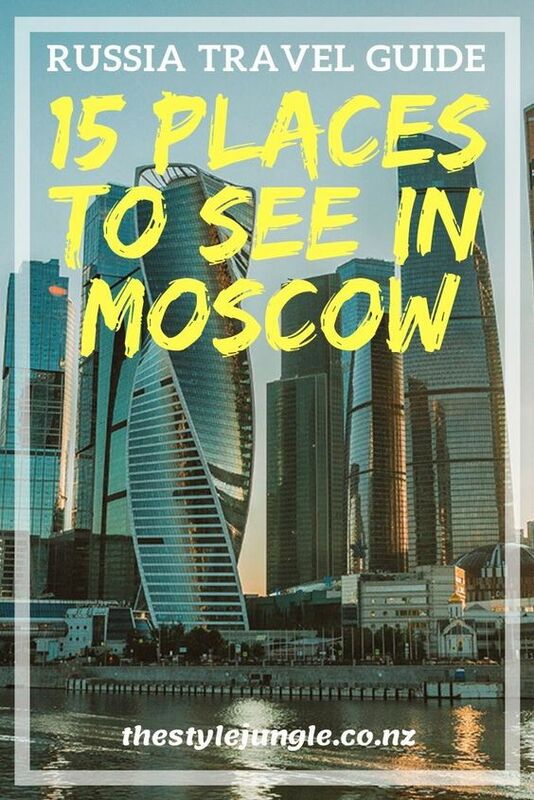 Arbat is a part of the old city and Novy Arbat is an illustration of the modern city with a lot of neon lights. 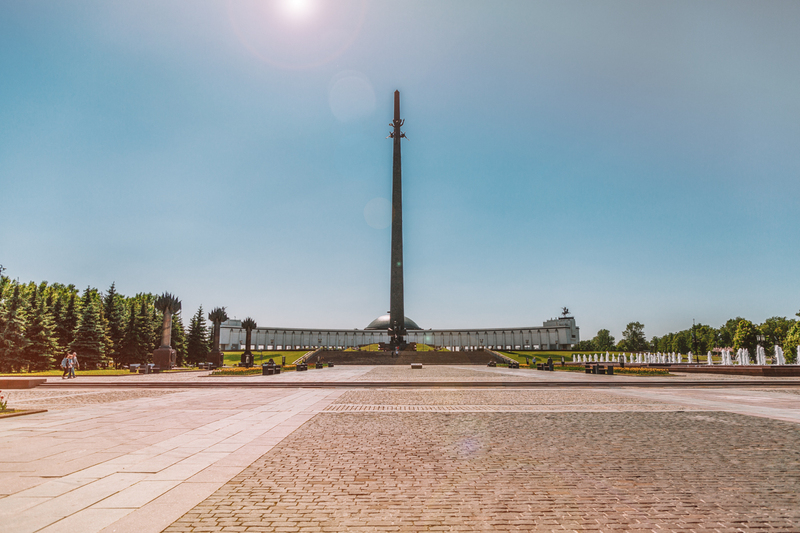 PARK POBEDY – the memorial park constructed in honour of victory in World War II. Impressive place with a Stella, museum and exhibition of vehicles survived that period of history. 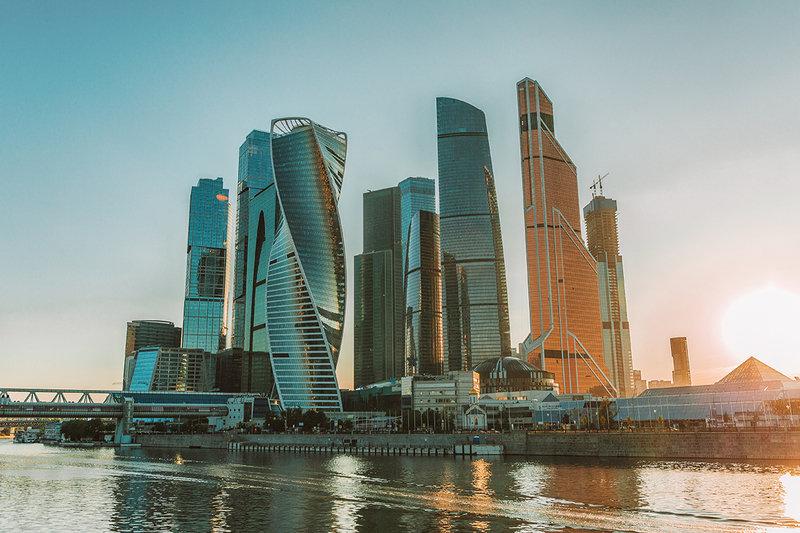 MOSCOW INTERNATIONAL BUSINESS CENTRE (MOSCOW CITY) – the new complex of skyscrapers recently been added to the landscape of Moscow. Great place for pics, coffee and shopping. 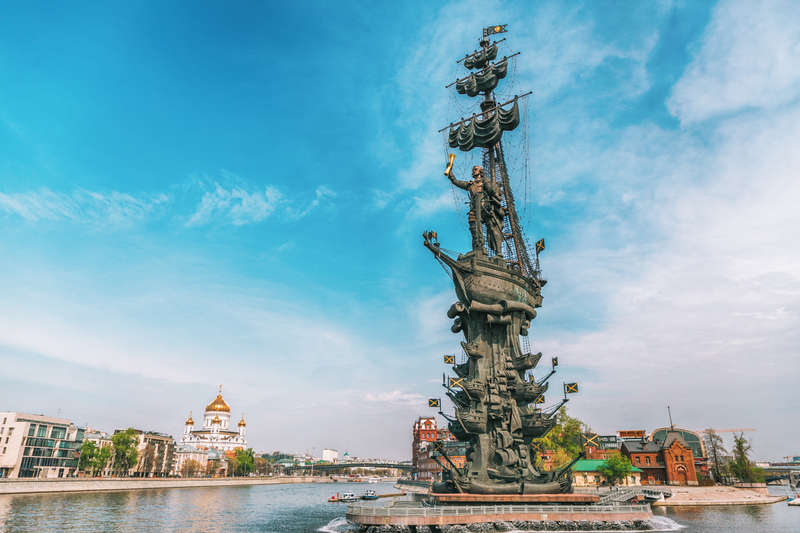 GORKY PARK – the big park with a lot of activities like bike and roller skates rental, street food and walking areas. Features great scenery and fountains. 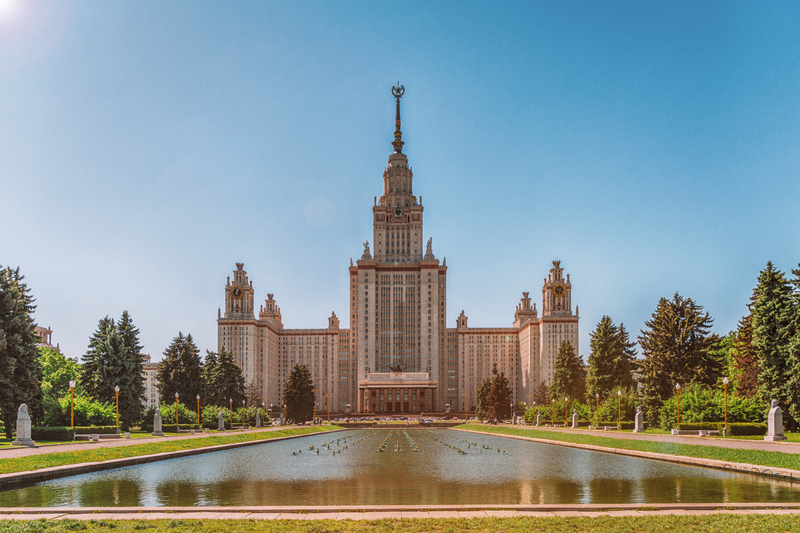 MOSCOW STATE UNIVERSITY BUILDING & SCENIC LOOKOUT – one of the 7 sisters – Stalinist skyscrapers built in Soviet Period. This is the place where the main university of the country is based surrounded by small student village. Scenic lookout offers a fantastic view of the city centre. 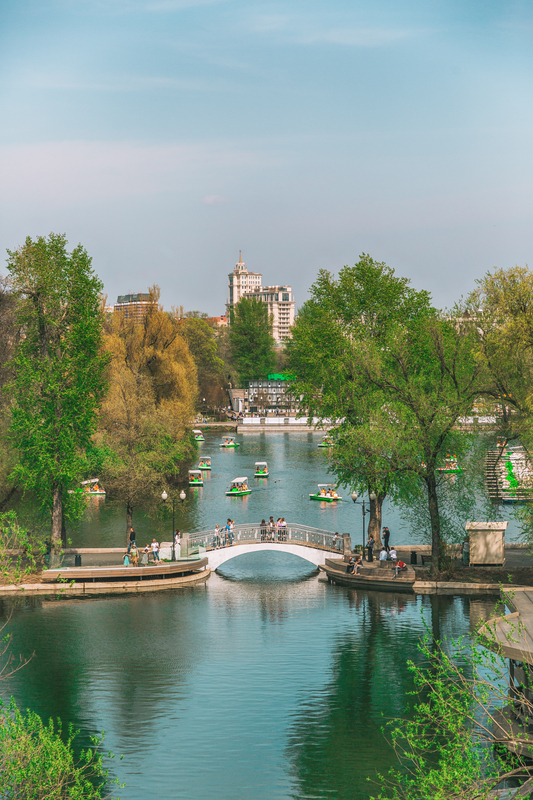 VDNKh – is the park built on a place where was the biggest expo centre in the Soviet Union. Nowadays it’s a recreational area with some great examples of Soviet architecture. The famous Ostankino Tower is located nearby. 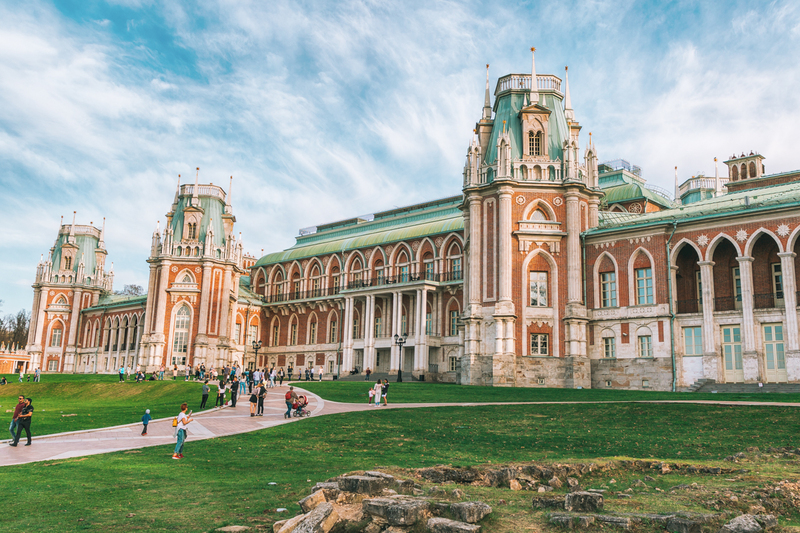 TSARITSYNO PALACE – one of the most beautiful tsar’s palaces you can see in the world. Surrounded by a beautiful park, this place is great for walks and picnics. MOSCOW METRO – is not just one place but a complex of beautifully decorated stations. Underground transportation is not only a very convenient way to get around the city but also a perfect place to enjoy the architecture. All stations are built in their own unique style and feature sculptures, columns, decorative panels, mosaics and other elements.